​Neurons grow highly branched dendrites to establish complex neural circuits in animals. However, how dendrites develop the branched structures is largely unknown. 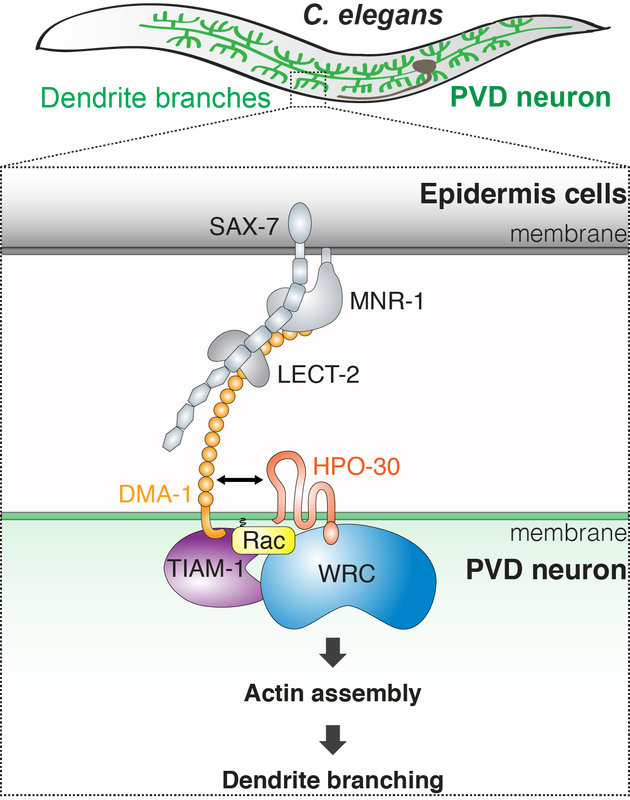 This work reveals that in the PVD sensory neuron of the nematode worm C. elegans, formation of high-order dendrite branches requires F-actin assembly driven by teamwork of two membrane proteins and two actin regulators. The first membrane protein DMA-1, which determines the sites of branching by forming a ligand-receptor complex with three epidermis/muscle-specific ligands (SAX-7, MNR-1 and LECT-2), directly binds to an actin regulator named TIAM-1, which can promote actin assembly by activating the GTPase Rac. The second membrane protein, a claudin-like protein named HPO-30, directly interacts with the WAVE Regulatory Complex (WRC), a central actin regulator which can be activated by Rac to promote F-actin assembly. On dendrites, DMA-1 and HPO-30 form a signaling complex to bring TIAM-1 and the WRC to close proximity to specifically enhance F-actin assembly, which, in turn, drives high-order dendrite branching. Different neurons may use a similar strategy, albeit likely by coordinating distinct sets of receptors and actin regulators, to synergistically activate F-actin assembly and promote complex dendrite arborization. ​The Rho GTPase Rac1 activates the WAVE Regulatory Complex (WRC) to release the VCA peptide. The VCA, in turn, stimulates the Arp2/3 complex to assemble new actin filaments. This process is essential to various activities, including cell movement and morphogenesis. However, how Rac1 interacts with the WRC and activates it was unknown. This work solved the first structure of the WRC bound to Rac1 by using cryo-electron microscopy. The structure revealed an unexpected Rac1 binding site on the WRC, which is distant from a previously identified site. Biochemical data suggest that activating the WRC to release the VCA requires two Rac1 molecules to bind to both sites at the same time. Cells may use this mechanism to precisely control WRC activation and thereby actin assembly, similar to using two keys to open a safe box for increased security. ​​﻿Anna Julia Squarr, Klaus Brinkmann, Baoyu Chen, Tim Steinbacher, Klaus Ebnet, Michael K. Rosen and Sven Bogdan. (2016) Fat2 acts through the WAVE regulatory complex to drive collective cell migration during tissue rotation. Journal of Cell Biology. 212 (5), 591-603. Xing Judy Chen, Anna Julia Squarr*, Raiko Stephan*, Baoyu Chen*, Theresa E. Higgins, David J. Barry, Morag C. Martin, Michael K. Rosen, Sven Bogdan and Michael Way. (2014) Ena/VASP proteins cooperate with the WAVE complex to regulate the actin cytoskeleton. Developmental Cell. 30 (5), 569-584. Baoyu Chen, Shae B Padrick, Lisa Henry, and Michael K. Rosen. (2014) Biochemical reconstitution of the WAVE regulatory complex. Methods in Enzymology. 540: 55-72. Baoyu Chen, Klaus Brinkmann, Zhucheng Chen, Chi W. Pak, Yuxing Liao, Shuoyong Shi, Lisa Henry, Nick Grishin, Sven Bogdan, and Michael K. Rosen. (2014). 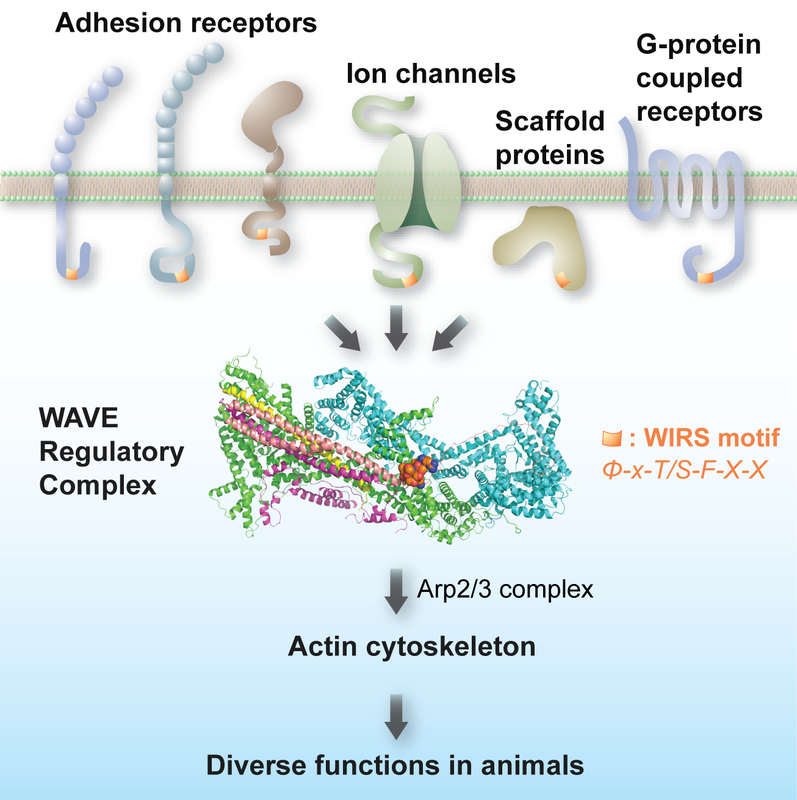 The WAVE regulatory complex links diverse receptors to the actin cytoskeleton. Cell. 156 (1-2), 195-207. Membrane molecules allow the cell to sense and respond to external signals to make the right decisions. This process usually requires reorganizing the actin cytoskeleton underneath the membranes so that cells can move and change shape. For many membrane proteins, little is known how they instruct actin reorganization. This study revealed that the WAVE regulatory complex (WRC) acts as a central signaling hub by connecting numerous membrane proteins to actin. These membrane molecules have diverse functions and include adhesion receptors, ion channels, GPCRs and scaffolding proteins. They all contain a short peptide motif in their intracellular regions, which we named the WRC interacting receptor sequence (WIRS). The WIRS peptide binds to a conserved surface on the WRC. Through this interaction, membrane proteins can recruit the WRC to their sites of action to activate actin polymerization. Many laboratories have now shown that this signaling pathway plays diverse roles in animals, ranging from cell migration and neuron morphogenesis to cell adhesion and endocytosis. Poh Hui Chia, Baoyu Chen, Pengpeng Li, Michael K. Rosen, and Kang Shen. (2014). Local F-actin network links synapse formation and axon branching. Cell. 156 (1-2), 208-220. 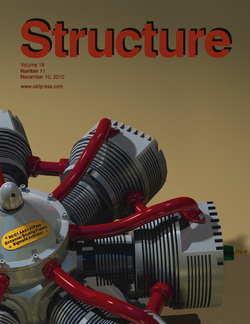 Pilong Li, Sudeep Banjade, Hui-Chun Cheng, Soyeon Kim, Baoyu Chen, Liang Guo, Marc LIaguno, Javoris V. Hollingsworth, David S. King, Salman F. Banani, Paul S. Russo, Qiu-Xing Jiang, B. Tracy Nixon, and Michael K. Rosen. 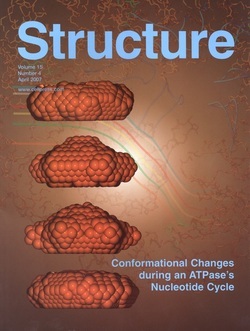 (2012) Phase transitions in the assembly of multivalent signaling proteins. Nature. 483 (7389), 336-340. Baoyu Chen*, Tatyana A. Syseova*, Saikat Chowdhury, Liang Guo, Sacha De Carlo, Jeffrey A. Hansen, Haw Yang and B. Tracy Nixon. (2010). Engagement of arginine finger to ATP triggers large conformational changes in NtrC1 AAA+ ATPase for remodeling bacterial RNA polymerase. Structure. 18(11), 1420-1430. Ayman M. Ismail, Shae B. Padrick, Baoyu Chen, Junko Umetani and Michael K Rosen. (2009). The WAVE regulatory complex is inhibited. Nature Structural and Molecular Biology. 16(5): 561-563. Baoyu Chen, Tatyana A. Syseova, Saikat Chowdhury, Liang Guo, and B. Tracy Nixon. (2009). ADPase activity of recombinantly expressed thermotolerant ATPases may be caused by copurification of adenylate kinase of Escherichia coli. 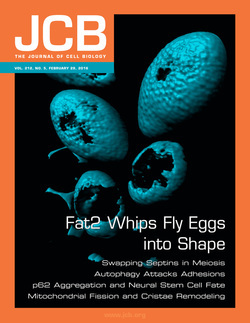 FEBS Journal. 276(3): 807-815. Baoyu Chen, Tatyana A. Syseova, Saikat Chowdhury, and B. Tracy Nixon. (2008). Regulation and action of the bacterial enhancer protein AAA+ ATPases. Biochemical Society Transactions. 36(Pt 1): 89-93. Baoyu Chen, Michaeleen Doucleff, David E. Wemmer, Sacha De Carlo, Hector H. Huang, Eva Nogales, Timothy R. Hoover, Elena Kondrashkina, Liang Guo and B. Tracy Nixon. (2007). ATP ground- and transition states of bacterial enhancer binding AAA+ ATPases support complex formation with their target protein, s54. Structure. 15(4): 429-220. Sacha De Carlo*, Baoyu Chen*, Timothy R. Hoover, Elena Kondrashkina, Eva Nogales, and B. Tracy Nixon. (2006). The structural basis for regulated assembly and function of the transcriptional activator NtrC. Genes & Development. 20: 1485-1495. Michaeleen Doucleff, Baoyu Chen, Ann E. Maris, David E. Wemmer, Elena Kondrashkina and B. Tracy Nixon. (2005). Negative regulation of AAA+ ATPase assembly by two component receiver domains: a transcription activation mechanism that is conserved in mesophilic and extremely hyperthermophilic bacteria. Journal of Molecular Biology. 353: 242-255. Qin Guo, Baoyu Chen and Xicheng Wang. (2004). Evidence for proximal cysteine and lysine residues at or near the active site of arginine kinase of Stichopus japonicus. Biochemistry (Moscow). 69:1336-1343. Suyuan Guo, Zhi Guo, Qin Guo, Baoyu Chen and Xicheng Wang. (2003). Expression, purification, and characterization of arginine kinase from the sea cucumber Stichopus japonicus. Protein Expression & Purification. 29: 230-234. Baoyu Chen, Qin Guo, Zhi Guo and Xicheng Wang. (2003). An improved activity assay method for arginine kinase based on a ternary heteropolyacid system. Tsinghua Science and Technology. 8: 422-427.